Topics: Commercial Security, Public Sector, Small Business, and Retail. Age: The domain is 23 years and 8 months old. The site has about 725 users daily, viewing on average 1.70 pages each. 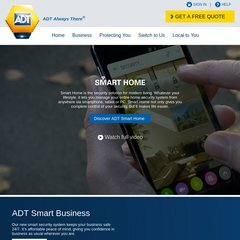 securityalarms.co.uk Security Alarms | ADT £99 Quick Connect Review | Curious? It is hosted by Sitekit Hosting Platform (England, Canterbury,) using Microsoft-IIS/6 web server. Its 3 nameservers are pri2.dns.uk.psi.net, pri3.dns.uk.psi.net, and pri1.dns.uk.psi.net. It is written for ASP.NET language. Its server speed is measured at 5248 milliseconds.